PIGEON FORGE, Tenn. (June 13, 2012) – A star from TV’s “Happy Days” will be at the Happy Days Diner in Pigeon Forge on Thursday (June 14) to meet fans, sign autographs and fix a little food. Cathy Silvers, who played Jenny Piccolo in the long-running sit-com will be at the diner from 5-6 p.m. for an autograph/photograph session. She says playing Jenny was the most fun she ever had in her life. Silvers, 51, is a professionally trained health food chef and will prepare a “Jenny Piccolo” Healthy Living shake and a “Jenny Piccolo” Saladmaster Salad for guests at the Happy Days Diner. This will be her first visit to the diner. 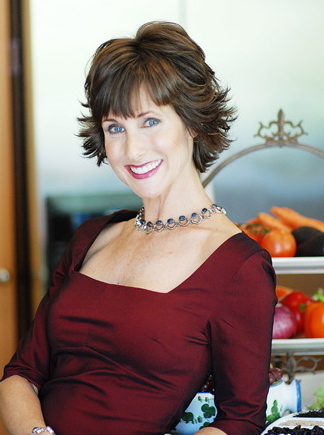 Silvers is the author of “Happy Days Healthy Living” that depicts her Hollywood childhood and acting career. She also hosts “The Healthy Living Show” on the web-based Healthy Living Network. She is the daughter of television and movie comedy star Phil Silvers and will enjoy some comedy while in Pigeon Forge at The Comedy Barn Show. The diner’s menu includes Fonzarreli’s Chicken Parmesan, Chachi’s Grilled Cheese, the Cunningham Club and Mrs. C’s Fried Chicken Salad.